Posted by Sean Adams in alums, careers, what can you do with a history major? As students and faculty get ready for a new semester in Gainesville, here’s a nice reminder that UF history alums can go far–sometimes quite literally–with their degree. These days, I live in a place “without any history.” I suppose the United Arab Emirates frequently gets this label because it — as a formal nation state — did not exist until fairly recently and because its independence was won from the British without notable agitation or bloodletting. But if there’s one thing that two years of heavy-duty regional and environmental history coursework at the University of Florida taught me, it’s that sometimes the richest history is found far away from the high drama of politics and warfare. For the past year and a half, I’ve worked as a copy editor at The National, a quasi-government-owned, English-language daily newspaper in Abu Dhabi that was launched in 2008 when papers in the States were closing or slashing staff. My work puts me on the frontline of what some might call “making history” – both as a member of a pioneering publication in and of itself and as an executor of a controlled (mostly loosely, but sometimes strictly) version of this place’s story. I know that historians may one day look for primary research material in the pages I’ve helped to print. That thought, among others, is an ethical mess, but life here remains fascinating and rewarding. 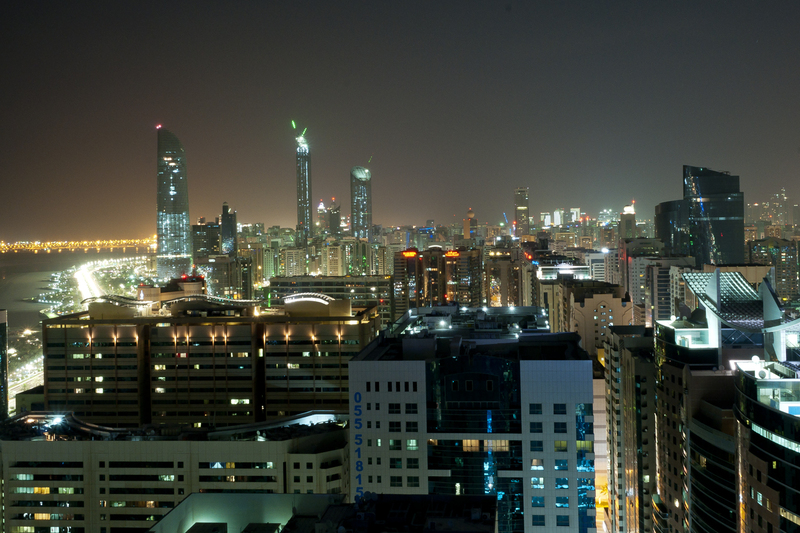 Abu Dhabi is my second home abroad. 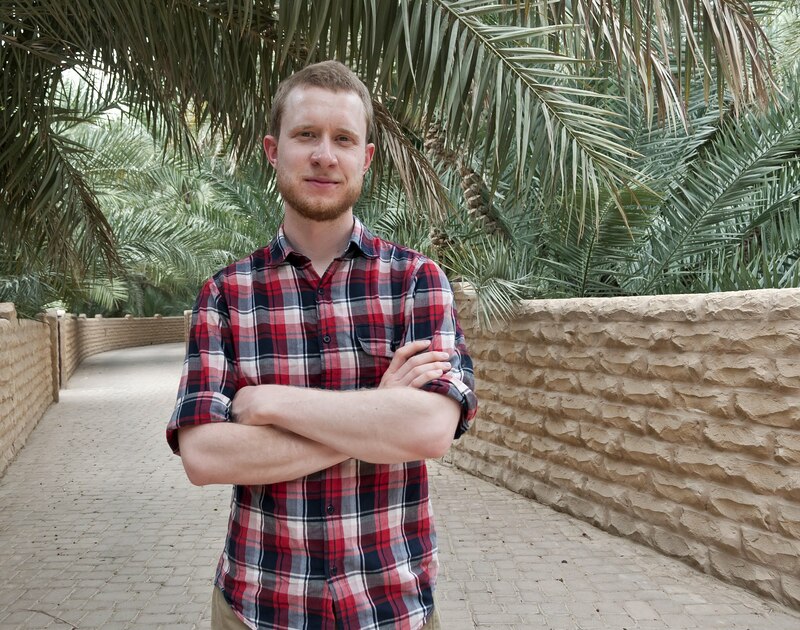 The first was Britain, where I completed a one-year master’s degree in social anthropology at the London School of Economics in 2011 – a really fulfilling and accessible experience that I strongly endorse for undergraduates contemplating their next step. Living abroad is a very happy habit that I can trace back to the History Department, having picked it up first in 2007 as a participant in UF’s Summer at Cambridge program. Indeed, I owe a great debt of gratitude to a number of the good people of Keene-Flint Hall for my present circumstances (very notably to the late Professor Robert Zieger, a person of proud convictions who always had the time to help: with a reading, or a writing or finding me a free place to stay in London). Whatever field I’m headed for, I know I wouldn’t swap out my past for anything. 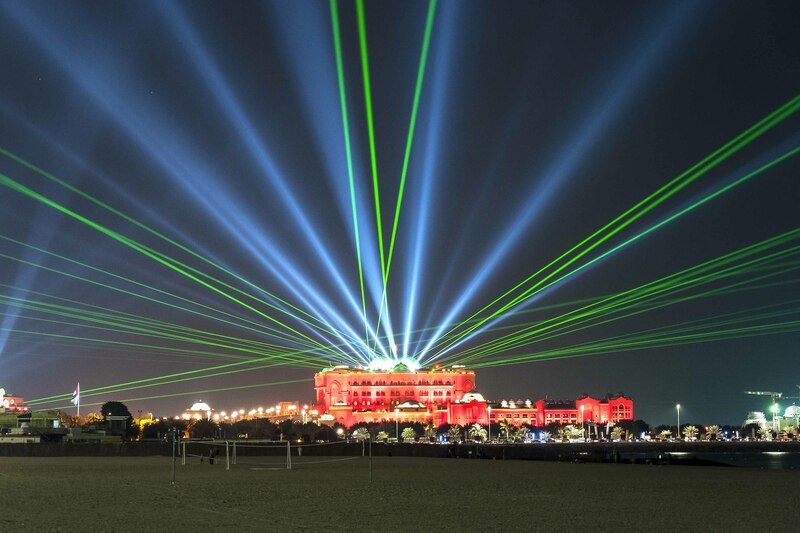 Some might say it is not quite as majestic as Keene-Flint Hall, but the scene during the UAE National Day light show is spectacular.